are addicted to your mouse, you will quickly find that your actions are limited in comparison with the flexibility and freedom provided by the keyboard. And you need to start thinking of the keyboard as a natural extension of your hands. You will be able to bring Windows Vista to your fingertips, literally, in a way that you will never be able to do with the mouse. As keyboard shortcuts become and integer part of your everyday workflow, a new junkie will be born. The bottom line is that the keyboard will provide you with an unprecedented level of control. You will never be able to go without keyboard shortcuts ever again. Either because of the way Windows Vista will seamlessly respond to your commands or because of the look on your colleagues' faces when you'll be flying through the operating system with little effort. All of the keyboard shortcuts bellow will deliver an unprecedented level of interaction with the operating system and decrease your dependency on the mouse. 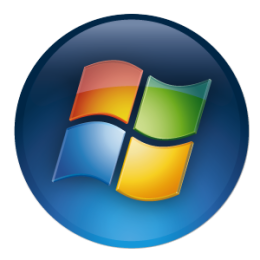 Windows logo key with any number key - Open the Quick Launch shortcut that is in the position that corresponds to the number. For example, Windows logo key +1 to launch the first shortcut in the Quick Launch menu.